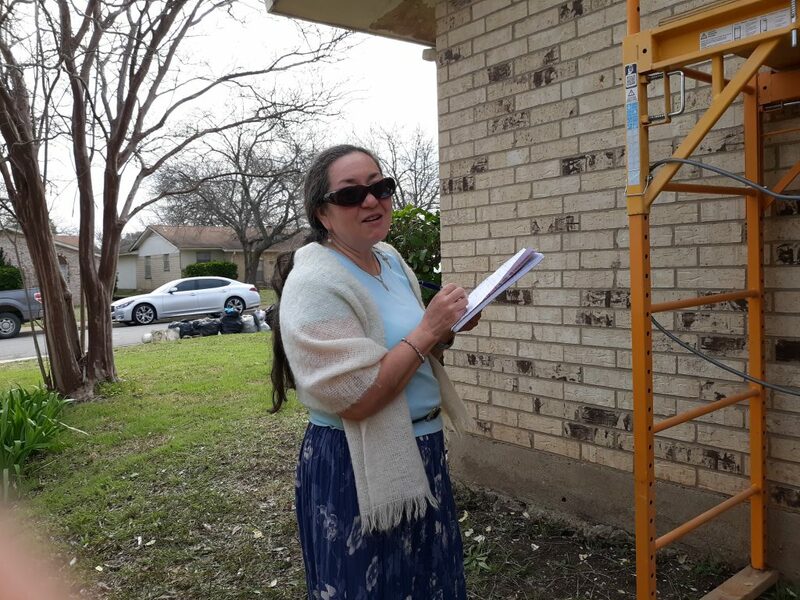 On the morning of March 18, 2019 at 8am, David Dybala, Mike Fitzgerald, Dan Murphy, Ray Rivera, Efrain Ochoa, Art Rodriguez, Jim Russell, Ken Rarick, Larry Balagna, Jack Ramsden, and I (Allen Reitmeier) gathered at the home of Norma Ortiz to begin the job of painting the exterior of her home located at 1847 Whitecliff Dr. in Duncanville. After a short prayer of thanksgiving and petition for safety, everyone started working on preparing the fascia and soffit and gables for new paint. 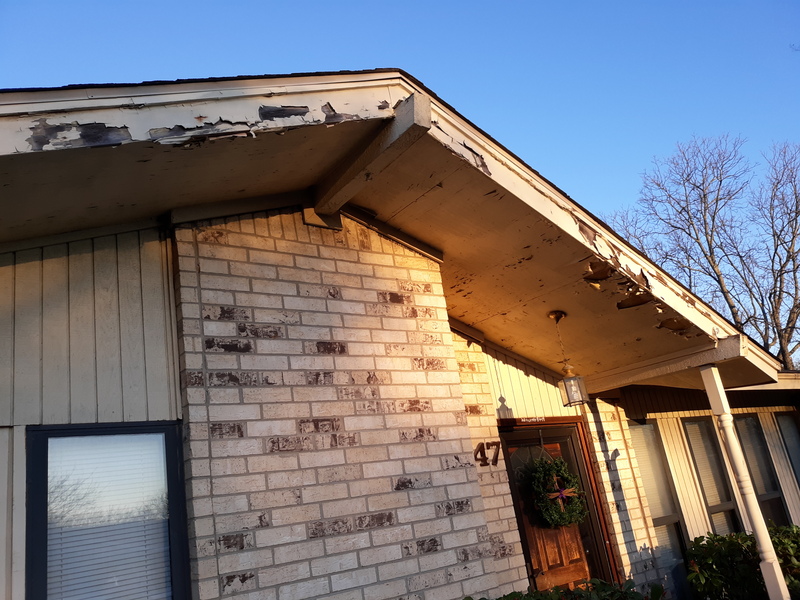 David Dybala and Mike Fitzgerald took on the task of replacing the rotted fascia and soffit and top trim – a very precise and tedious undertaking. While this was happening Dan Murphy cranked up the power washer and proceeded to wash off much of the old chipped and peeling paint as well as lots of dirt. 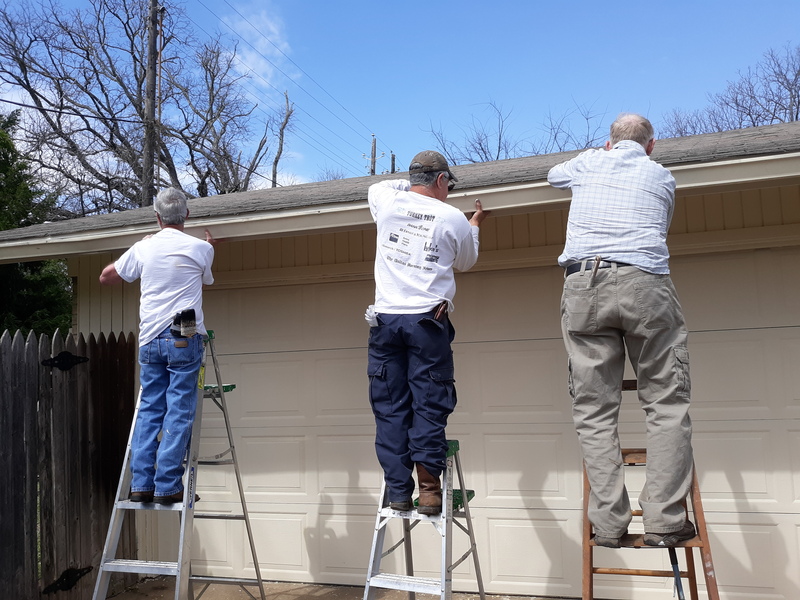 Jim Russell, Ken Rarick, and Art Rodriguez followed this up by applying a cleaning solution and then scrubbing and rinsing the fascia and soffit and gables. Ray Rivera, Jack Ramsden, and Efrain Ochoa assembled a safety scaffold on uneven ground on the west side of the home and then began the slow job of scraping off old paint from all the surfaces. Larry Balagna straightened the bowed fascia on the west side of the home and also scrapped paint. Jack and Jim and Dan also took on the task of caulking all gaps in preparation for painting. Art Rodriguez even found the time to mow the grass in the front and back yard. Ken Rarick cooked a delicious lunch of hamburgers and brats accompanied by pizza purchased by Ray Rivera. We left the job site about 3 pm. With all in readiness, 9 Knight Hands commenced applying paint at 9am on Tuesday March 19th. Ken Rarick and Dan Murphy teamed up with one rolling and the other brushing. Same for Jim Russell and Art Rodriguez. David Dybala spent most of his day repairing numerous holes in the hail damaged shingles on Norma’s roof. 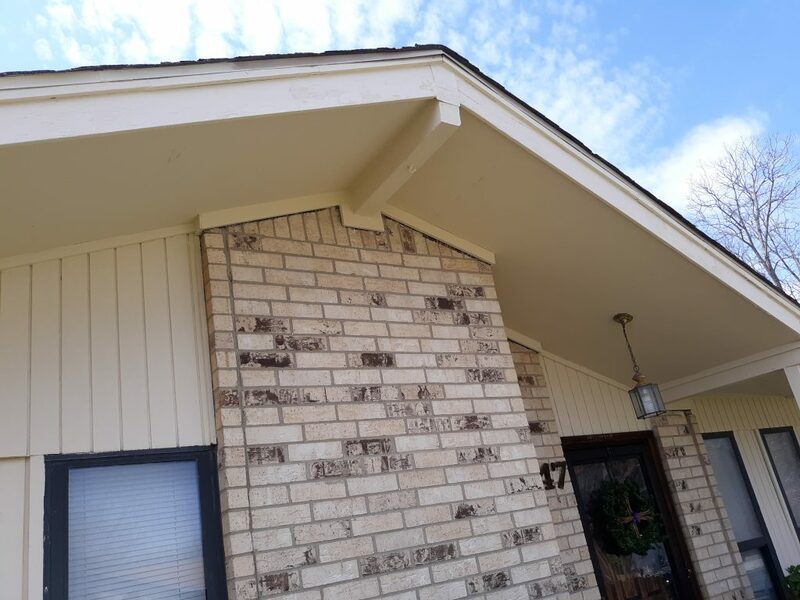 Larry Balagna painted trim and the bottom edges and Efrain Ochoa took on the job of painting the soffit and fascia on high side – which he did to perfection. Mike Fitzgerald also painted the very difficult fascia on the high side and painted wherever needed. After painting was complete, everyone joined in to install and paint the rain gutters. We were gone by 4 pm. Norma came home just as we finished and was awed by what we had done – she was so grateful. She had trouble putting into words how much this meant to her. The house really did look good. As the director of Knight Hands, I was proud of all the men who worked for two days to complete this mission. The spirit of giving is deeply imbedded in this group of men – these are men who get after it and never waver in their commitment to help those in need. This was a big job for older Knights; but never a harsh word was spoken. I suppose there are some big-time preachers who could write praiseful prose about what these men did; but all they really wanted was a simple thank you from Norma and a smile – both of which they got in spades. The men who worked these two days should be in the Knights of Columbus Hall of Fame. Good work guys.